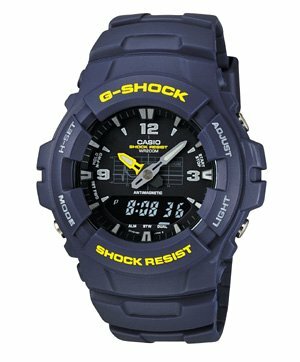 The G-Shock G-100 is a classic analog-digital model that goes back to the year 2000. It remains one of the most popular G-Shock watches today due to its analog design, standard size, and affordable price. 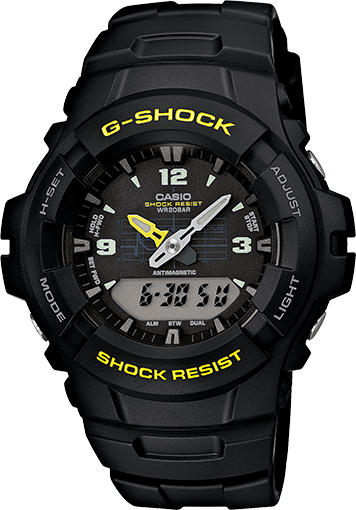 The G-100 makes a great weekend watch for sports or outdoor activities and is also a good everyday beater for those who prefer an analog display and want a simple, affordable watch. 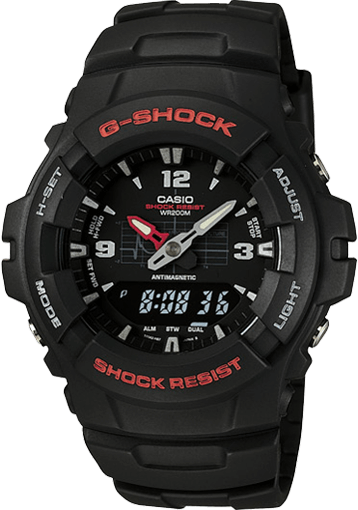 The G-100 features 200M water-resistance, magnetic resistant structure, EL backlight, dual time, daily alarm, stopwatch, auto calendar, 12/24 hour format, and 3-year battery. 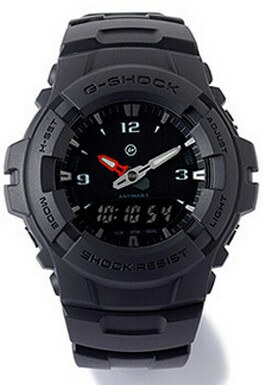 The features this G-Shock sacrifices for its low price are world time and a countdown timer and there is no automatic activation setting for the backlight. The G-100 makes a good first G-Shock because of its simplicity but if you are looking for a travel watch we suggest looking into a more advanced model. Here are the current G-100 models available.